Marcella Ridgway, VMD, MS, DACVIM (SAIM), is a clinical associate professor of small animal internal medicine at University of Illinois. Previously, she spent 10 years in private practice. Her primary clinical interests focus on hepatobiliary and GI disorders and infectious disease. After earning her veterinary degree from University of Pennsylvania, Dr. Ridgway completed an internship, small animal internal medicine residency, and master’s program at University of Illinois. Availability of the drugs discussed here varies by region. Because many of them are available in the majority of the world, we are publishing this article for the benefit of readers in those areas. Editor's Note: This article also appears in the December 2018 print issue of Clinician's Brief. A 3-year-old neutered male domestic shorthair cat was presented after 2 days of pollakiuria and hematuria; 2 hours of vocalization, stranguria, and dribbling urine; and a single episode of vomiting. Examination revealed 7% dehydration, tachycardia, and a firm, distended bladder; the remainder of the physical examination was within normal limits. CBC, serum chemistry profile, and urinalysis were unremarkable other than 4+ blood and presence of RBCs (TNTC) in the urine. Findings on abdominal ultrasonography likewise were unremarkable, with no evidence of calculi in the urinary tract. The cat was treated with IV fluids, decompressive cystocentesis, and removal of an obstructive distal urethral mucus plug. An indwelling urinary catheter was maintained for 24 hours, then removed. Which of the following drugs would be appropriate for this patient? Correct ResponseSafeFeline lower urinary tract signs are painful and most commonly associated with feline idiopathic cystitis (FIC). They are considered best managed by opioids in the acute phases of disease. Of the opioids, buprenorphine has the benefit of multiple routes of administration, including sublingual and subcutaneous, and is suitable for at-home use. Alternative analgesics have some disadvantages; for example, the sedative butorphanol has limited analgesic activity, and fentanyl is linked to respiratory depression, bradycardia, and urinary retention and requires more intensive patient monitoring than does buprenorphine. Correct ResponseDo Not UseMultiple studies have failed to show a benefit of meloxicam treatment for the clinical course of FIC (eg, pain, duration) or for recurrence of urethral obstruction.1,2 Although renal injury is not apparent in this patient, NSAID use is contraindicated in patients with potential renal injury secondary to urinary outflow obstruction. Correct ResponseDo Not UseAnti-inflammatory doses of prednisolone or dexamethasone have been shown to have no positive effect on the clinical course of idiopathic feline lower urinary tract disease (FLUTD) or FIC. Correct ResponseDo Not UseEmpiric use of antibiotics is not warranted in cats with urinary obstruction. Bacterial UTI is uncommon in cats presented with FLUTD, FIC, or urethral obstruction, especially those between 1 and 10 years of age,3-5 and antibiotic administration does not prevent catheter-related UTI. Antibiotics should not be administered to these cats unless bacterial infection is documented by urine culture. If lower urinary tract signs recur postcatheterization, obtaining a urine sample for culture at a return visit 3 to 4 days later is recommended to determine whether bacterial infection was introduced as a consequence of catheterization. Correct ResponseSafeα1-adrenergic blockers (ie, α1 antagonists), which can cause urethral muscle relaxation, are often used in cats with urethral obstruction because of the potential contribution of urethral spasm (ie, functional obstruction) to initial or recurrent urethral blockage. Prazosin is the antispasmodic of choice because of its rapid onset of action and demonstrated superiority to phenoxybenzamine in impacting patient outcomes2 and less sedative effect as compared with acepromazine. Although urethral relaxants may appear to benefit individual patients, controlled studies have not shown a positive impact for their use in cats with FLUTD or FIC, possibly because only the preprostatic and prostatic urethra are affected by smooth muscle relaxants. Hypotension is a potential adverse effect of all α1-adrenergic blockers used as urethral relaxants; these drugs should not be used in cats with hypovolemia or other conditions associated with pre-existing hypotension. Correct ResponseCautionAlthough phenoxybenzamine is commonly administered as a urethral relaxant in cats with urethral obstruction, this drug is less effective in reducing proximal urethral pressure than is prazosin or acepromazine and may require up to a week to show pharmacologic effect. In addition, cats with urethral obstruction treated with phenoxybenzamine were shown to have a significantly higher rate of recurrence of urethral obstruction as compared with cats treated with prazosin.2 As with prazosin, hypotension is a potential adverse effect, and thus phenoxybenzamine should not be used in cats with hypovolemia or other conditions associated with pre-existing hypotension. Correct ResponseCautionAcepromazine is effective in lowering proximal urethral pressures, but sedation is a common side effect. Because of its α1-adrenergic blocking effects, acepromazine can cause significant hypotension and thus should be avoided in hypovolemic patients. Correct ResponseDo Not UsePhenylpropanolamine is a sympathomimetic drug used to treat urethral sphincter mechanism incompetence secondary to urethral sphincter hypotonia in dogs and cats. However, use of an agent that increases urethral sphincter tone is contraindicated in patients with urethral obstruction. The urine dribbling in this cat is likely related to small amounts of urine escaping past the urethral obstruction rather than from urethral sphincter hypotonus. Correct ResponseCautionAntiemetic therapy is not indicated in this patient, as vomiting was most likely the result of urinary bladder distension and pain triggering peripheral afferent pathways to the emetic center. This triggering condition can be resolved by bladder decompression and pain management. In addition, a single episode of vomiting often does not warrant pharmacologic intervention. In a minority of cats with obstructive FLUTD or FIC, antiemetic therapy may be needed if they suffer severe metabolic consequences (eg, acute renal injury, acid-base and electrolyte derangements) of urinary obstruction and subsequent ongoing emesis. In addition to its antiemetic effect, maropitant may provide a visceral analgesic effect6-8; however, its use as an analgesic in cats with lower urinary tract disease or urinary obstruction has not been evaluated. Correct ResponseSafeStress is thought to contribute to the development of FIC.9-11 Amitriptyline, a tricyclic antidepressant that has both anxiolytic and analgesic action, may be beneficial in managing patients with severe or recurrent disease. Side effects include sedation, salivation, urine retention, thrombocytopenia, and neutropenia. Although there is insufficient evidence to support use of amitriptyline as a short-term medication, long-term use of this drug may be considered if or when other evidence-based methods of control—which include moist diet, veterinary therapeutic urinary diet, and multimodal environmental modification or environmental enrichment11—have not delivered a desired response. Dorsch R, Zellner F, Schulz B, Sauter-Louis C, Hartmann K. Evaluation of meloxicam for the treatment of obstructive feline idiopathic cystitis. J Feline Med Surg. 2016;18(11):925-933. Hetrick PF, Davidow EB. Initial treatment factors associated with feline urethral obstruction recurrence rate: 192 cases (2004-2010). J Am Vet Med Assoc. 2013;243(4):512-519.
Cooper ES. Controversies in the management of feline urethral obstruction. J Vet Emerg Crit Care (San Antonio). 2015;25(1):130-137.
Cooper ES, Lasley E, Daniels J, et al. Incidence of urinary tract infection at presentation and after urinary catheterization in feline urethral obstruction. J Vet Emerg Crit Care (San Antonio). 2013;23(S1):S13. Lund HS, Skogtun G, Sørum H, Eggertsdóttir AV. Absence of bacterial DNA in culture-negative urine from cats with and without lower urinary tract disease. J Feline Med Surg. 2015;17(10):909-914. Ruggieri MR, Filer-Maerten S, Hieble JP, Hay DW. Role of neurokinin receptors in the behavioral effect of intravesicular antigen infusion in guinea pig bladder. J Urol. 2000;164(1):197-202. Niyom S, Boscan P, Twedt DC, Monnet E, Eickhoff JC. Effect of maropitant, a neurokinin-1 receptor antagonist, on the minimum alveolar concentration of sevoflurane during stimulation of the ovarian ligament in cats. Vet Anaesth Analg. 2013;40(4):425-431. Marquez M, Boscan P, Weir H, Vogel P, Twedt DC. Comparison of NK-1 receptor antagonist (maropitant) to morphine as a pre-anaesthetic agent for canine ovariohysterectomy. PLoS One. 2015;10(10):e0140734. Westropp JL, Kass PH, Buffington CA. Evaluation of the effects of stress in cats with idiopathic cystitis. Am J Vet Res. 2006;67(4):731-736. Buffington CA. 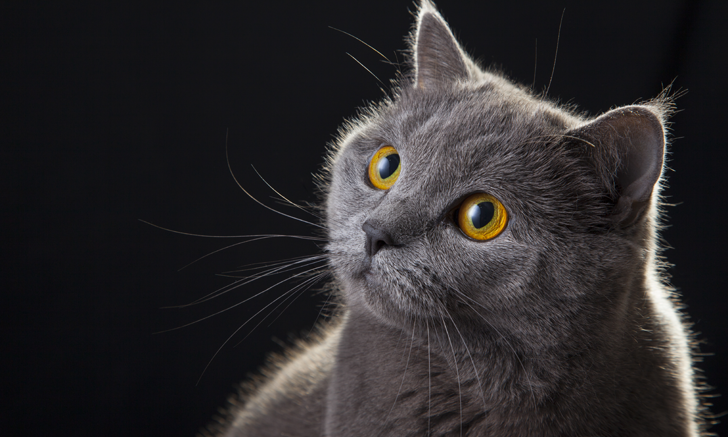 Idiopathic cystitis in domestic cats—beyond the lower urinary tract. J Vet Intern Med. 2011;25(4):784-796. Forrester SD, Towell TL. Feline idiopathic cystitis. Vet Clin North Am Small Anim Pract. 2015;45(4):783-806.